Need Santa paper? 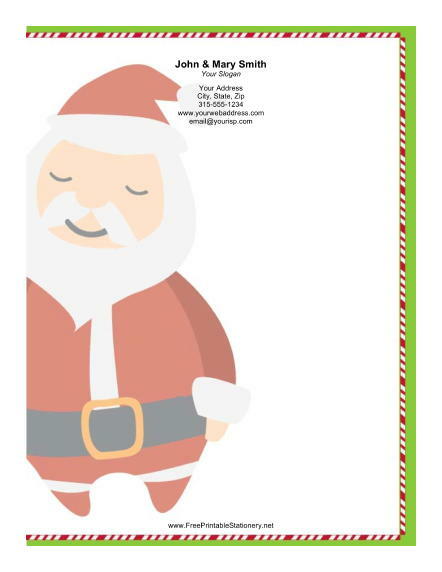 A large stylized Santa Claus is surrounded by a green border with candy canes on this holiday paper. This friendly Santa is a great choice for Christmas paper when writing letters for the holidays.